Change your clocks; change the batteries in your smoke detector, we are advised. What if we take this a step further and say, change your vehicle’s air filter; change your driving style. “If changing the air filter helps improve a vehicle’s overall performance, then it is a good idea to adjust your driving style as well,” says Kevin O'Dowd, Director of Marketing & Communications at MANN+HUMMEL Purolator Filters NA LLC. MANN+HUMMEL Purolator Filters supplies air, oil and cabin air filters to the North American Automotive Aftermarket. “Changing your air filter will improve your engine’s performance; and changing your driving habits can enhance fuel economy while taking advantage of your engine’s new-found attitude,” O'Dowd says. In addition to many other advantages spelled out by the U.S. Environmental Protection Agency, http://www.fueleconomy.gov/feg/driveHabits.shtml, changing your driving habits to suit a car that performs better will use less fuel and protect your wallet at the pump. Clean air = long life and improved performance “The logic is the same,” O'Dowd says. “Just as breathing clean air contributes to a long and healthy life, so also a vehicle’s engine that ‘breathes’ clean air performs better over a longer period of time. Abrasive dust, dirt and other contaminants that can enter through the engine’s air intake ducts while you are driving can damage a car’s internal engine components, increase wear and ultimately reduce the engine’s power, performance and long life. A vehicle ingests about 10,000 gallons of air to burn a single gallon of fuel and, air along roads and highways contains all kinds of contaminants such as soot, dirt, leaves, straw, tiny bits of rubber, etc. Large quantities of unfiltered air entering the engine compartment can damage critical engine components and cause cylinder wear. Choosing a quality air filter “Capacity and efficiency in capturing the dirt before it enters the engine combustion chamber are key to determining the quality of an air filter,” says O'Dowd. “Capacity is the amount of dirt the filter can hold before it begins to restrict air flow and efficiency describes how well it performs in capturing the dirt.” Modern engines that are built to be more fuel-efficient and have smaller openings and tighter tolerances call for engine air filters that can trap even the smallest particle of dirt threatening to enter the system. For instance, Purolator’s PureONE air filter’s oil-wetted, high-capacity media offers twice the capacity of conventional filters to trap contaminants smaller than the size of a grain of sand and is 99.5 percent efficient over a range of 1-200 microns using A4 coarse test dust. This means it traps 99.5 percent of particles that size or larger. Likewise, Purolator’s Classic air filter multi-fiber, high-density media traps 96.5 percent of contaminants. Most people should change their vehicle’s engine air filter once a year or every 12,000 miles unless they’re driving in unusually dirty or dusty conditions, suggests O'Dowd. Because of the long intervals between changes it’s important to install the best filter possible for reliable and efficient filtering. Drive to save So, what kind of adjustments will you need to make in how you drive to take full advantage of that improvement? · Avoid making “jackrabbit” starts and stops. You need apply a lot less pressure on the gas pedal or the brakes if you give yourself enough time to get to your destination. · Drive gently and smoothly for a more comfortable ride. Aggressive and fast driving will waste gas and lower gas mileage by 33 percent on the highway and by 5 percent around town, according to the EPA. · Stay within speed limits. Gas mileage decreases rapidly at speeds above 60 mph. Each additional 5 mph increases fuel usage by about 7-8 percent (calculation based on EPA figures – see Web site mentioned above). In the final analysis It’s always best to opt for a name-brand filter whose quality and design features are reliable and well documented, says O'Dowd. “Experience and documented innovation are key considerations with a product like an engine air filter that can have a major influence on the life of a $4,000 automobile engine. Think about it, if you need surgery, you will certainly want an experienced surgeon who has performed many operations and who has a track record of successful outcomes.” According to O'Dowd, “that's where branding plays an important part, especially with products like filters where motorists – even technicians – don't have direct access to lab test results to properly assess the performance, durability, and value of a filter.” And O'Dowd should know, since Purolator invented the very first automotive oil filter in 1923 and the first spin-on oil filter in 1955. You want a company that pioneered filtration, has been in the business for nearly a century and has both a track record and a reputation to sustain. You want a company that offers a brand with knowledge, experience, and reliability. So, once you’ve made sure that your car is breathing in fresh, clean air with a quality air filter, adjust your driving style to reap the benefits of better performance and smoother driving. 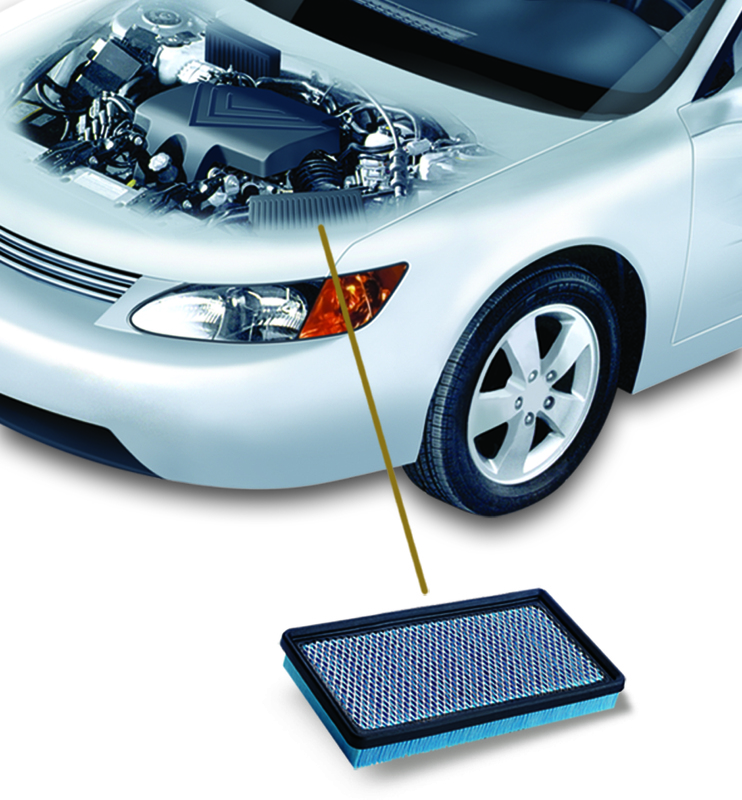 Change your car’s air filter; change your driving style. A car's engine that 'breathes' clean air performs better over a longer period of time.